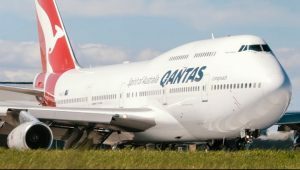 Qantas has applied to boost its service to Chile by operating an extra weekly service during peak periods, using a Boeing 747-400. The carrier has applied to Australia’s International Air Services Commission (IASC) for the allocation of 337 seats per week of capacity in each direction between Australia and Chile. For flexibility, Qantas has also requested that “another Australian carrier which is a wholly-owned subsidiary of Qantas such as Jetstar Airways Pty Limited” should be able utilise the capacity. Jetstar does not operate 747s but it is useful to keep all options open. In accordance with section 12 of the International Air Services Commission Act 1992, the IASC has invited other applications for the capacity. The closing date for making an application is 29 April 2019. Qantas’s application is for capacity during the northern winter scheduling season, starting 27 October 2019. 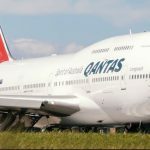 In a letter accompanying its application, Qantas said it planned an extra weekly service during periods of peak demand between Australia and Chile, using B747 aircraft. Qantas has eight B747s left, at last count, and is phasing them out in favour of newer planes, with the last one set to retire next year.